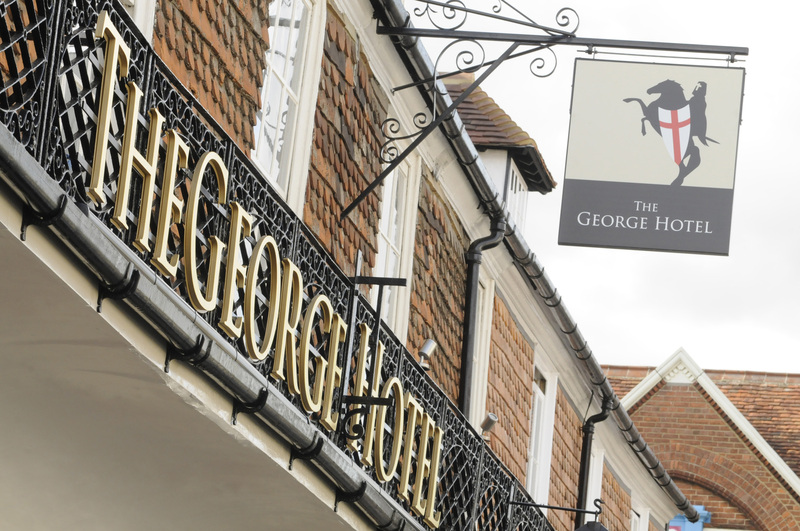 The George Hotel is the ideal location from which explore many of Kent’s outstanding attractions. Whether you are interested in walking through beautiful countryside, discovering historic buildings and gardens or sampling the delights of shopping in Tunbridge Wells, The George will set you on your way and welcome your return. Nearby the stunning National Trust property Sissinghurst Castle and Gardens. The inspirational gardens were first laid out by novelist Vita Sackville-West and her husband Harold Nicolson in the 1930’s and visitors today can enjoy a vivid insight into their lives and passions. Climb up the Elizabethan Tower to experience the most stunning views over the Weald of Kent. Known as ‘The Jewel of the Weald’, the nearby country town of Tenterden is also well worth a visit with its picturesque high street, extensive selection of unique shops and beautiful mix of Elizabethan, Georgian and Victorian architecture. Travel back to the nostalgic age of steam and enjoy a trip through 10 miles of beautiful countryside from Tenterden to medieval Bodiam Castle on England's finest rural light railway. Beautifully restored coaches and locomotives dating from Victorian times, enable visitors to experience travel and service from a bygone age. Designed by six times major winner, Nick Faldo, Chart Hills is one of the finest golf courses in Kent. Recently awarded a place in the Rolex Top 1000 Courses in the World, it has also remained in the top 100 courses in the UK and Ireland. With several feature holes including the island 17th and the longest bunker in Europe, The Anaconda on the 5th, Chart Hills is a course every golfer will want to play. Great Dixter in Northiam, East Sussex, is a romantic recreation of a medieval manor house, complete with great hall, parlour, solar and yeoman's hall. The famous gardens, designed by architect Edwin Lutyens and Nathaniel Lloyd, is in the arts and crafts style, featuring topiary, a long border, an orchard and wild flower meadow. Built in the early 16th century, Smallhythe Place was purchased by renowned Victorian actress Ellen Terry in 1899. Her daughter Edith Craig, set up the museum in 1929 which houses a fascinating collection highlighting Ellen Terry's extraordinary career and unconventional personal life. Now owned by the National Trust, Smallhythe Place includes a beautiful cottage garden and a charming 17th century thatched Barn Theatre which provides an opportunity to attend a show. For visitors who enjoy classic cars, this private collection specialises in Morgan 3 wheel cars, from 1913 to 1936. Hidden behind Falstaff Antiques shop, this fascinating museum is surrounded by vintage garage equipment, petrol pumps, signs, toy and model cars. All the vehicles in the collection have been restored by Mr Chris Booth over the last 40 years. Suitable for visitors of all ages, Bedgebury Forest is ideal for cycling, walking, riding, picnics and adventure. Bedgebury National Pinetum has the most complete collection of conifers in the world, which was started in the 1840's by the Beresford Hope family. Managed by the Forestry Commission, Bedgebury holds exciting events for visitors throughout the year. Bewl Water is many things to many people – a place to walk, cycle, ride, challenge yourself, entertain the family or simply unwind and relax. This stunning reservoir offers countless attractions suitable for people of all ages and abilities to enjoy. Set in 23 acres on a gentle south-facing slope in a shallow sheltered valley, Biddenden Vineyard is Kent’s oldest commercial vineyard, having been established by the Barnes family in 1969 to produce wines and ciders. There are marked walks around the vineyard plus free tours where visitors can see the presses and bottling line in the Winery then visit the Tasting Room to sample the Biddenden wines, cider and apple juice. Royal Tunbridge Wells shopping offers a unique retail experience. Its combination of specialist shops and high street names, in a charming and historic setting, makes the town a popular destination. Cranbrook and the surrounding Wealden villages also offer a charming range of specialist shops, antique showrooms and galleries.